Broadband Fixed Base Station Dipole & Loop HF Antenna Systems, such as the SWC100 & BBA100C. These systems require no transceiver interfacing other than a coaxial lead. Our Latest generation of Broadband HF T2FD/T3FD/TWD Travelling Wave Dipole/Delta Loop HF Designs are compatibible with most digital and analogue transmission modes. We have a number of Vertical, self supporting Horizontal and Loop HF Antennas specifically designed for Small/Tight places. Lightweight Aluminium Roof or Ground Mount Radio Tower/Masts. These 6~12 Metre systems are available in a range of flexible options . 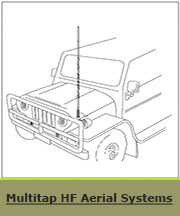 Perfectly suited for HF, Colinear UHF/VHF aerials & remote area 3G Phone or wireless applications. 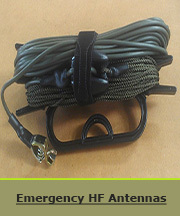 We are specialists in the Design & Manufacture of "Made To Order" HF antenna systems to suit your requirements. 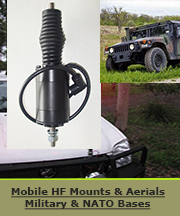 We can supply fixed frequency MF aerial systems for medium power AM radio broadcast stations & custom length marine GMDSS base station antenna coupler compatible antenna systems.